In 2014, I spotted the ad above and wrote an entry about the absurdity of it all. It turns out to be a very cool story involving a shady Michigan company, members of ZZ Top and the preying on of innocent rock fans who had no access to the level of information we do today. Gil Mantera’s Party Dream are one of the last Youngstown acts to nearly make the big time. If you were around the Youngstown scene from the late 90s to mid 2000s, you understood why. There is no sense in trying to explain it here. Let Ultimate Donny ( Richard Elmsworth) do it in a recent interview from the podcast Height Zone World. Freak out or fake out? 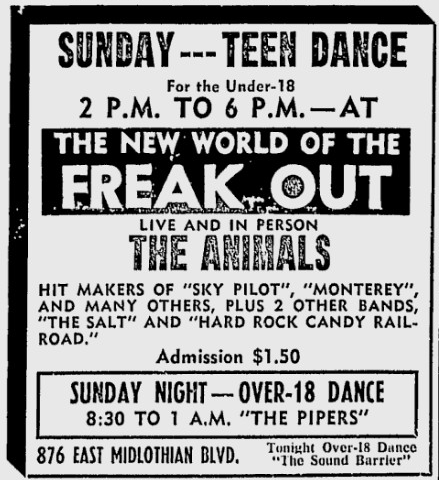 On January, 18, 1970, the club The New World of the Freak Out (currently the site of the Utopia night club) claimed to have booked a show featuring one of the bigger bands of the 1960s in The Animals. Only problem is the band broke up in 1969. Eric Burdon was well into his tenure with War at that point and the rest of the band was onto other things. So who knows if this was imposters or maybe some fringe members carrying on the name. 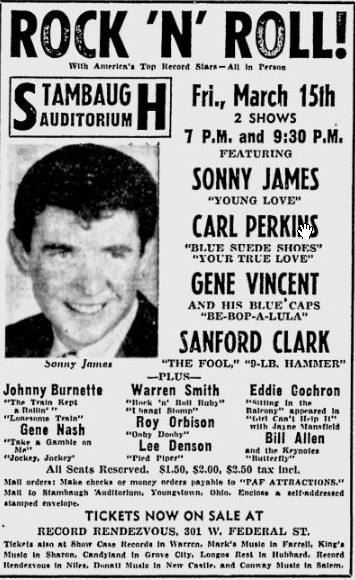 It would be absolutely absurd to think that the band that played arenas in the mid-60s played a Youngstown night club for $1.50 a ticket in 1970. Edit: A commenter pointed out that the show was a scam and that the actual Animals did not play there. So it turns out there was life in the State Theater before the Tomorrow Club took over. 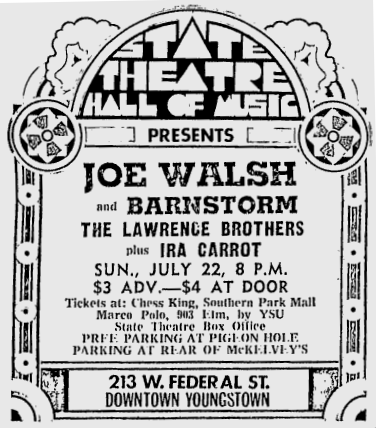 Dubbed the State Theatre Hall of Music, the venue booked guitar legend Joe Walsh and Barnstorm on July 22, 1973. It seems to be the first rock music booking there, but I have no idea who else was booked or how the venue fared under that name.